Valentine's Day is right around the corner. Why not pull out this oldie but goodie and get a jump start on your Valentines? 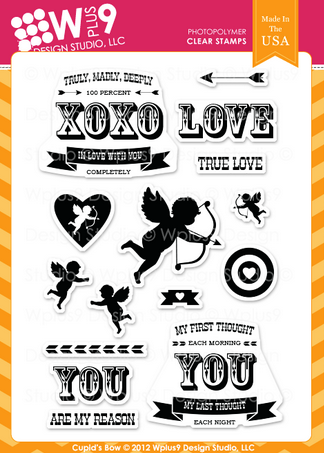 Cupid's Arrow has a great mix of images and sentiments that are great to use as accents or a focal point for your card. I've used Cupid's Arrow with some newer products to show you how older sets can be used with some of sets you already have in your stash. 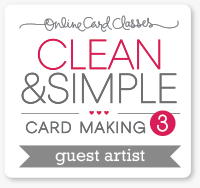 For my first card, I used the Clear Cut Stackers: Hearts to create a mask to build my focal point. I first stamped the confetti hearts in Little Piggy and Sweet Gelato inks and then sponged the edges with Lake House ink. 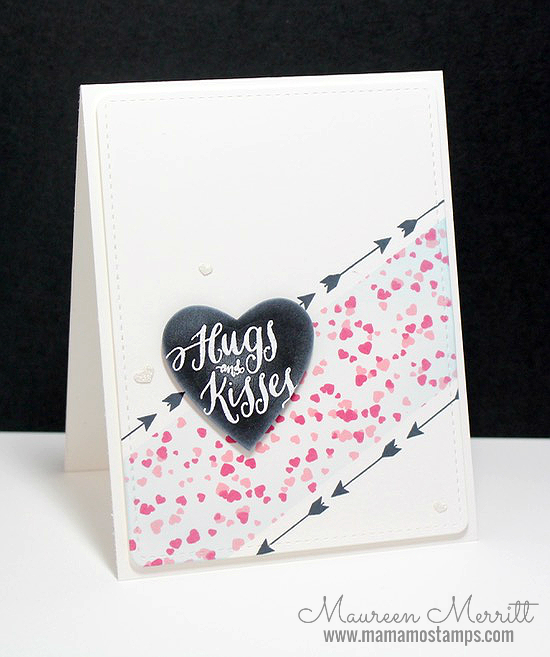 I stamped the sentiment multiple times using the MISTI. This next card shows you how you can use older sets with newer ones. 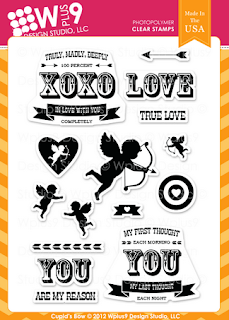 Here I pulled in the "you" from Hand Lettered Thanks and combined it with a sentiment from Cupid's Arrow. My last card uses masking and stamping just like the first. This time I stamped arrows as a border on both sides of the masked area. I pulled in a sentiment from Valentine's Wishes and used the chalkboard technique to make a focal point that pops.